Grant’s Sail Care Advice in SpinSheet Magazine! 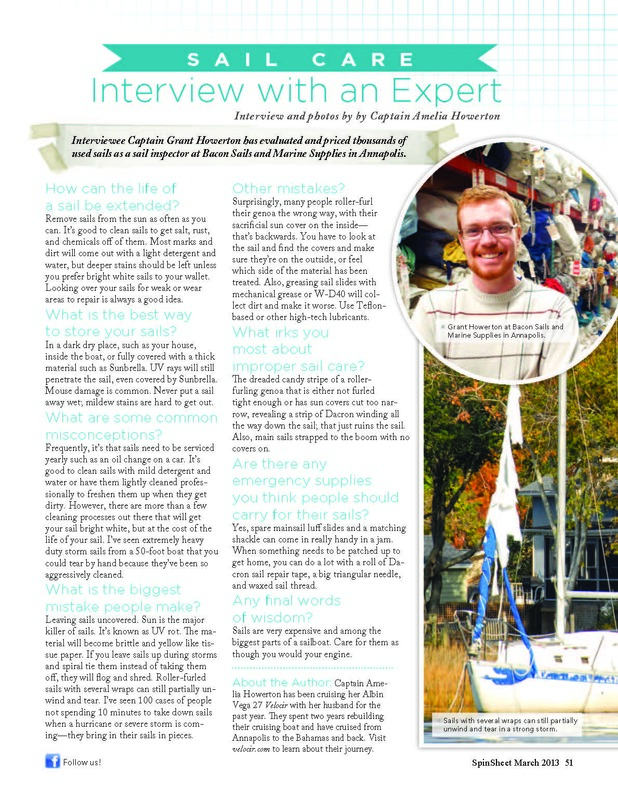 We are excited to share that Grant has been featured in SpinSheet’s March 2013 issue, sharing his knowledge of sails and how to care for them. Having inspected thousands of sails as an inspector for Bacon Sails and Marine Supplies in Annapolis, MD, he has always wanted to give a few pointers, hoping it would help others to extend the life of their sails. Check out our past blog post where Grant talks about the sails he designed for Velocir. Click here to read the entire March 2013 issue of SpinSheet! For a clearer view, please click on the article below, thanks!